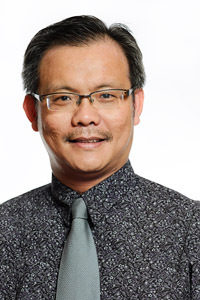 Deputy Senior Pastor Chua Seng Lee has been a full time pastor since 1992 and spent more than 2 decades working with youth & young working adults. He was invited to serve in the Singapore National Youth Council, a national agency to coordinate & empower youth sector, for 4 years as well as Chairman of National Youth Mentoring Steering Committee for another 4 years. Started in 2005, The Young Adult Ministry began its work in harvesting young adults talents, passion and drive for the Kingdom of God . For we know that this is the time for a new generation of people to arise. One – To admonish and teach our crop of young adult, for we know that there has never been a more pressurized time in anyone’s life. Work, Life, Purpose, Love, Relationships, and God all collide in one season of one’s life. We will help make sense, God’s sense, of this crazy world. Two – To present everyone perfect in Christ, for we know that it is a race that we need to run together. We have to continue to grow together, encourage one another and keep each other strong. We need to start and finish well. We will see to that. Three – To proclaim HIM, for it is our calling and purpose in life to serve God and seek the lost. “Called to be saved, Saved to be called.” We will choose this day to proclaim Christ in our lives through our gifting and strength. Join us in our proclamation. If you are 18 to 30+ and you share our purpose then we want you. Join us, make a difference. For more information, please contact Ps Seng Lee, Ps Felicia or Ps Darren at 66450700.